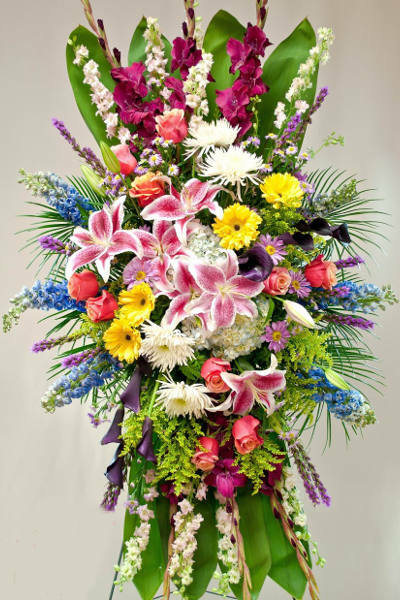 Floral display created for the funeral or memorial service presented on a standing easel. 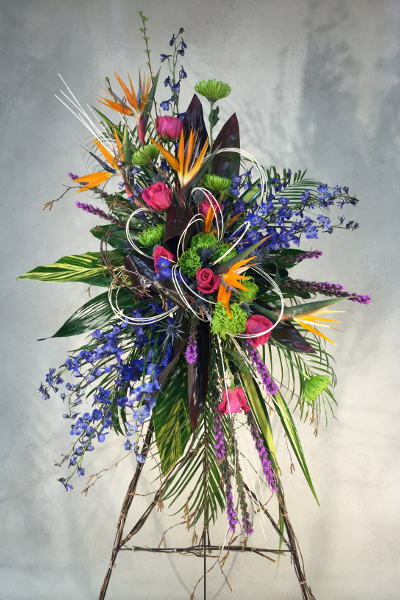 Floral display created for the funeral or memorial service presented on a standing easel. Choose Traditional style or Modern style.